It’s an identity crisis for Daredevil as Matt Murdock juggles a bevy of baddies seeking to sully his good name while he juggles the triple-identity of Matt Murdock, Mike Murdock, and DD! You just might want to ready your slide ruler for tragedy with this kind of trigonometry. After a dust-up with the Beetle, the Trapster attempts to trick the Fantastic Four into attacking DD by disguising himself as none other than ol’ hornhead himself! 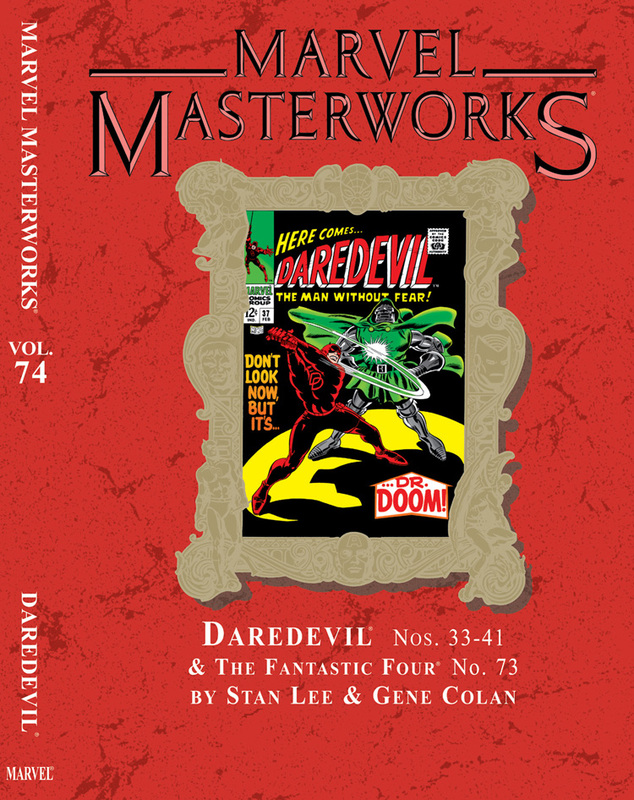 Wiser minds prevail, but only until none other than Dr. Doom steps up to the plate! 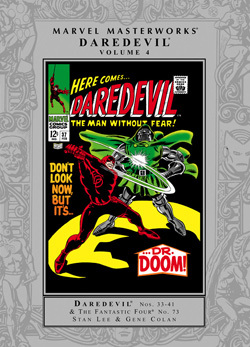 In one of Daredevil’s most amazing Silver Age adventures, he goes toe-to-toe with Doc Doom - in opposite toes! You guessed it, the Latverian monarch switches bodies with Daredevil bringing on a battle that drags the Fantastic Four, Spider-Man, Thor into the mix in one of Marvel’s first crossover bonanzas! As if kicking him out of his own body wasn’t enough, next the Exterminator tries to evict Daredevil from the time stream! With the Unholy Three at his employ to clobber the hornhead back into the Stone Age, he’s got a good chance of succeeding ’cause there’s at least one cast member that won’t be making it out of this adventure alive. 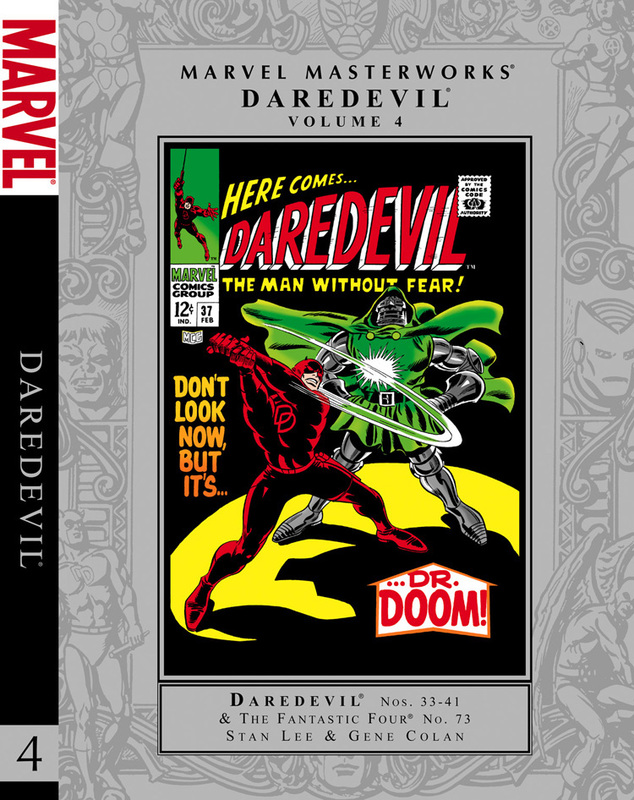 Collecting DAREDEVIL (Vol. 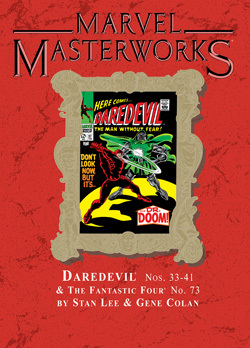 1) #33-41 and FANTASTIC FOUR (Vol.1) #73.